“Can’t Have It Anywhere Else” Experiences. If your audience and/or consumer don’t feel any which way about your product or service you don’t have a brand, you have a commodity, which means you better have the best and cheapest widget in town, and if even if you do it’s just a matter of time before someone else creates something better or cheaper, or worse - launches a Brand that makes your commodity obsolete. When was the last time you called a taxi? To get out of the commodity business and into the Branding business you need to do more than have a product, you must offer an experience, and the easiest way to do that, in the early stages of a nascent business is to infuse it with a story, set of values or level of user understanding that can’t be found anywhere else… you must start with the only irreplaceable part of your business - yourself. Build it not only from the ground up, but inside out. Curious to find out what the hoopla is all about? 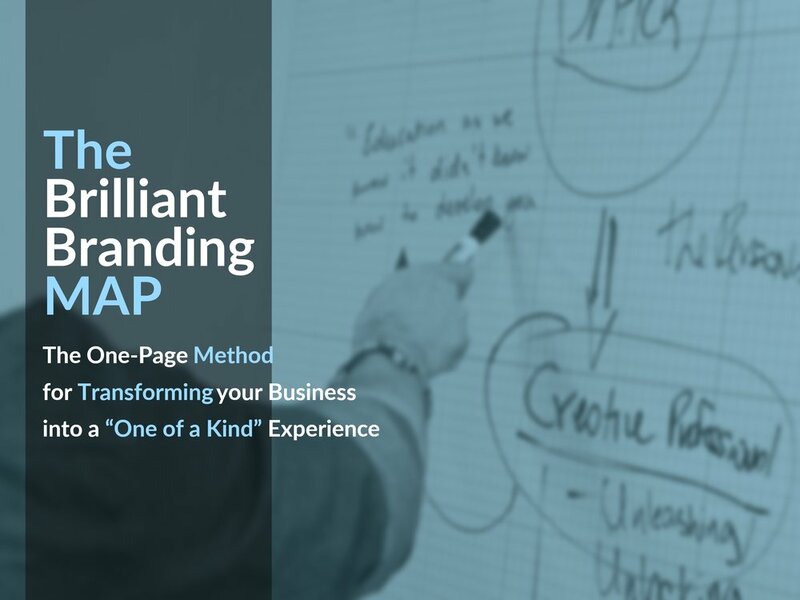 if you haven’t taken the opportunity to download “The Brilliant Branding MAP” yet click on the link below, pick a date and time on my calendar when it’d be best for us to have a 20 minute chat via a “Brand Insight Consultation” and I’ll make sure to send you the Brand MAP along with your appointment confirmation. in bringing that seed idea into fruition. Distilling a lifetime dedicated to studying communication, observing human behavior, rebelling against conformity, refining self-expression, deconstructing storytelling, pitching ideas and running creative teams at the service of Helping Creatives & Entrepreneurs Translate their Unique Vision into a One-Of-A-Kind Personal Brand Experience. Consultation is what I call the least intense of all the work I do... from a client's perspective. You still get my undivided focus, full strategic arsenal and commitment to serve you in a way that streamlines, refines and improves your performance; it's just delivered in a shorter window, demanding less time, commitment and investment on your part. Consultations are usually a one-and-done engagement. It can range from having me as a speaker to meeting one-on-one for a ‘Brand M.A.P.’, Story, or a Strategy Session for your product, project or business. Whether you're an individual wanting to test drive my methods before committing to full scale collaboration or you have a project you feel just needs some laser-focus fine-tuning before it gets rolling, a consultation is a great way to get us both working together to solving your most pressing Branding or Business need. Coaching is growth. Is having someone in your corner to pick out your blindspots, trouble shoot your road blocks and challenges as they occur, constantly refining your performance, mindset and goals to bring out the best in you. Coaching is having a guide always pointing you towards your true north and never letting you shy away from your greatness. Coaching is best employed by individuals who are ready to shorten the gap between where they are and where they wanna go. It's supporting you to set that destination so far beyond your current reach that you must become the best, sharpest, most resilient version of yourself in order to achieve it. Collaboration can be as simple as a storytelling meeting or as complex as the soup-to-nuts production of a movie. Maybe you need your copy revised or rewritten. Perhaps your script needs a "punch-up", or maybe you need a script. Perhaps a storytelling meeting to create the foundation for your project, company or brand. Or maybe you need a producer or creative director to make it happen on time, on budget and to your specifications. From brand content to screenwriting, development to prototyping to delivery. If you, your team or your project needs an injection of creative problem solving or an infusion of storytelling depth I'd love to hear from you. Collaboration can be one of my services or all of them rolled into one. It can be full time, full blast or sparingly. Here is where we can abandon all previous blueprints to create our own. some of them have shared about our time together. — Antwonette Stevenson - Fashion Designer, Speaker, Entrepreneur. Neto gives everything he has to every project he is involved with. He does not take his cell phone into meetings and takes his commitments extremely seriously. In the process of helping you achieve your goals and vision, Neto transforms into a friend, a brother, an advocate and someone who pulls resources from his other contacts to help you. He will literally do anything he possibly can to help you make your dreams come true. For me, Neto has become family. He has shown genuine compassion, love and caring for my family and I. When you start out as business associates but you think so highly of the individual you are working with at every level, that you invite him into your inner circle, then there can be no higher compliment than that. — Ingrid Joy - Photographer, Romantic, Creative Force. — Charlie Griak - Filmmaker "The Center", "Stalking Nina", Brand Designer, Storyteller. — Ryan Murry - Founder "In Touch Media Group", Podcast Host, Community Builder. — Amanda Johnson, Lifestyle & Brand Content Photographer..
— German Sanchez - Content Creator, Storyteller, Master Audio-Engineer. — Tania Kelvin, Creativity Coach, Artist. — Aaron Gochman - Business Owner, Entrepeneur, World Traveller. — Thiago Dottori - Emmy Award Winning Screenwriter. — Vasilios Asimakos - Actor, Writer, Podcast Host. The most rewarding moment in my work is not when the project or vision is accomplished. The moment that's most beautiful to watch is when the shift happens, when the mind "clicks" and what was once impossible or "too-far" becomes not only probable but a near inevitability. Ideas, after all, are a dime a dozen, but each of us are a "one-in-a-billion", so it's not what we come up with, but how we engage with it, shape it, and most of all execute against it that turns that individual brilliance into a “One of a Kind” experience. My clients don't belong to a demographic, they don't share an age range, gender, socioeconomic status, ethnicity or zip code; what they share in common, is the nagging feeling that they have more to give, that there best work is yet to come, and they’re committed to doing their best work and sharing it with the world. 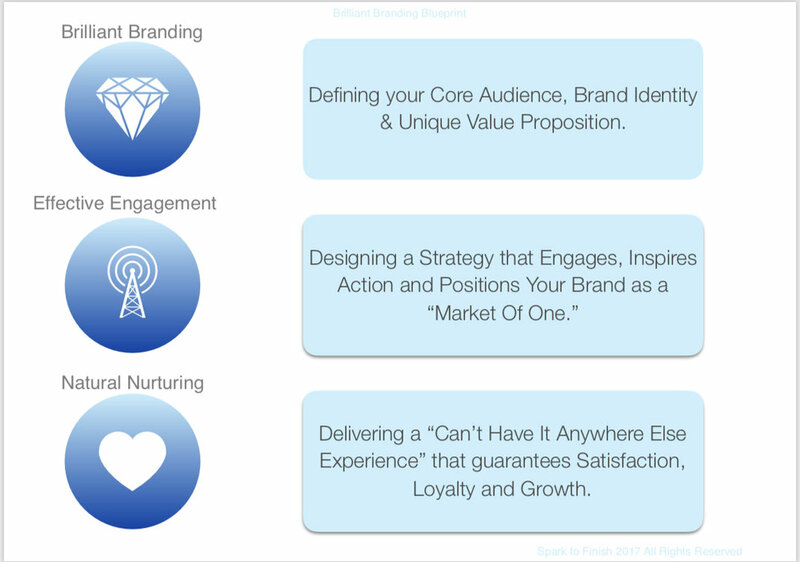 The videos below were recorded between breaks of the Brilliant Branding Blueprint Live Event which occurred at the end of the 8-week online course. If you’d like to get set on a path of growth, towards higher customer conversion, satisfaction and loyalty click on the link below, schedule a short “Brand Insight Consultation” with me and let me help you get clear about your Brand Message.